Figures from both Hotspot and Fastmatch show 2016 opened very strong for institutional FX trading. Brokers are going to be very happy if the year continues with the trend set this month, as figures from both Hotspot and Fastmatch show that 2016 opened very strong for electronic institutional FX trading. For Hotspot, average daily volume (ADV) at the trading venue was about $30.7 billion, 27.5% above December 2015 which itself saw a rebound after three straight months of falling volumes. This was the first time since March 2015 that the ADV figure crossed the $30 billion benchmark, however the month was still 10.4% below January 2015’s $34.2 billion. This means that despite the recent monthly gains Hotspot still has ground to recover after hitting multi-year monthly trading lows in November 2014. 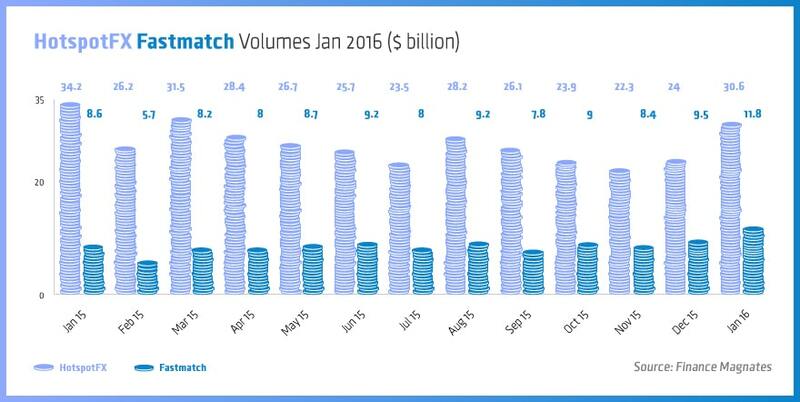 At Fastmatch, January’s activity was equally strong, with an ADV of $11.8 billion for the month. The figure was 25% above December’s and the first time trading crossed above the $10 billion benchmark since December 2014. A year on year comparison is even more impressive for Fastmatch, seeing growth of 37.2% since January 2015. Last week BATS Global Markets, the operator of Hotspot, issued an announcement about a major upgrade to be made available to its clients. 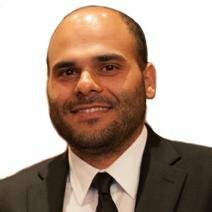 Hotspot launched Hotspot Link, a tool which is designed to permit the customers of the ECN to build their own liquidity pools. The list of institutional grade liquidity which a number of providers are delivering to the market may be fully tweaked to design a relationship-based liquidity pool that caters to the specific needs of the client. Earlier this month FastMatch sent out a notification to its clients that the company is reducing a number of fees it has been charging to its clients. With such an aggressive push consisting of two complementary steps, the company is evidently looking to expand its market share.